Ducasse, who said he met with Jets officials in Stamford as recently as last week, bounced around a conference room with about 50 people at Morton's Steakhouse, holding a long embrace with his older brother, MacArthur, who was sent to Stamford from Haiti with Ducasse seven years ago by their father. The most emotional moment of the evening came when Ducasse shared a bear hug with his high school coach, Kevin Jones, who served as a father figure and mentor to the player, who arrived in Stamford not knowing much English, and even less about football. It is really amazing what a person can do with the right support system. Ducasse's dad made a tough decision to send his son away to a place with more opportunity, and it seems like his son's talent, drive, and determination took over from there. But there must have been a lot of people caring about him along the way, because a teenager can't do it alone. 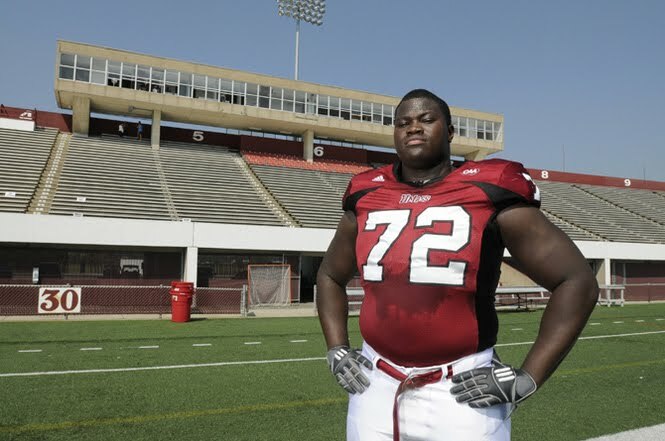 In many respects, Ducasse's story is as compelling as Michael Oher's, the subject of the movie "The Blind Side." Ducasse was discovered at Stamford High School because he stood out in the hallways and was encouraged by friends to try out for the football team. During his first year at the school, his grade point average went from a 2.7 to a 3.8. A cool story, and I hope to read more. There are some great pics you can look at with the article. It looks like Ducasse's Dad was there for the draft, so I wonder if he came up to the US later? I haven't seen the movie Blind Side, but I read the book when it came out and loved it.